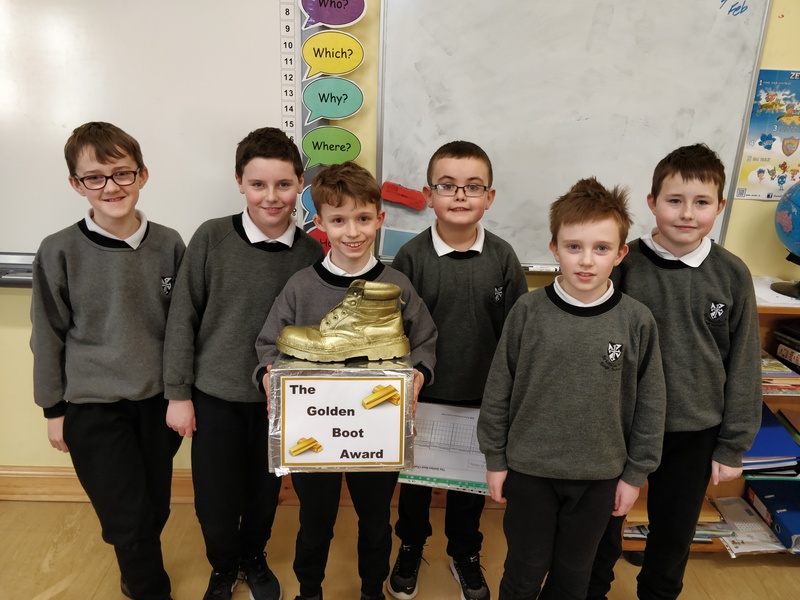 A huge Congratulations to Mr O’Connell’s fourth and fifth class who have won the Golden Boot this week for their second time. Despite the cold and wet weather this week, they have wrapped up and braved the elements to change their travel arrangements to school and the results show for themselves. Well done guys. Who will be next week’s winner? Make sure to stay tuned to find out and don’t forgot our BIG TRAVEL CHALLENGE that starts TODAY! !